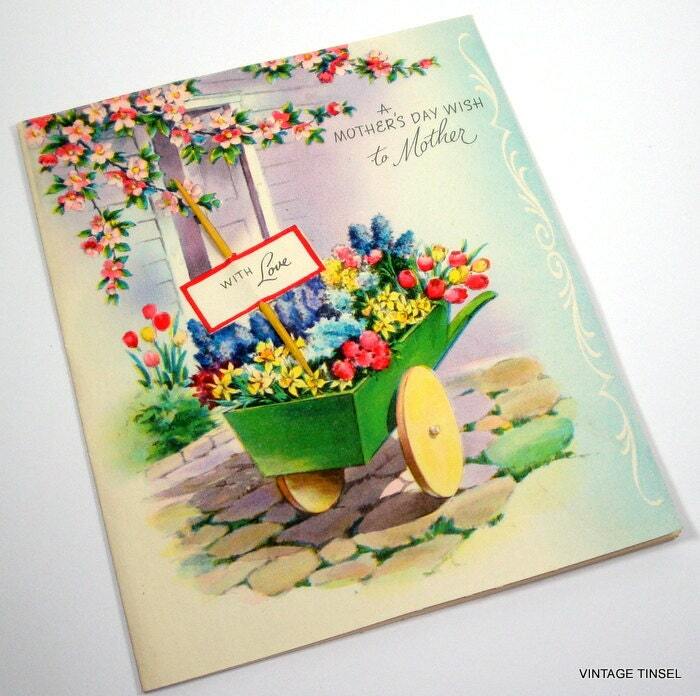 A vintage Mother's Day card to use in your scrapbooking of card making projects. Colorful cart full of spring flowers. A real toothpick used for the stake. Measures about 6" x 5". A faint stain along the fold, lower left, not that noticeable. The back of the card is stained from an envelope, see the last photo. Envelope not included. More Mother Day cards? Combine shipping is available.